Indie Retro News: VICE Version 3.0 - The Versatile Commodore Emulator with a big release! 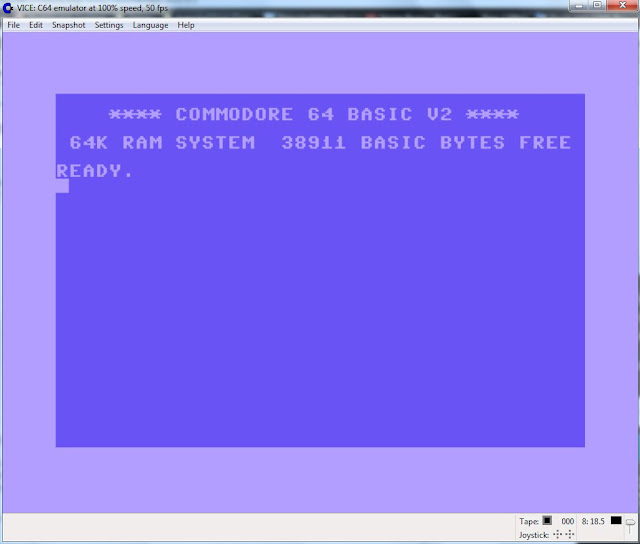 VICE Version 3.0 - The Versatile Commodore Emulator with a big release! The shockingly brilliant Amiga emulator WinUAE wasn't the only software that had a big final build today, as the versatile Commodore emulator ' VICE ' is now at version 3.0. Now many of you have seen all of our C64 game updates, well this is the software we used for both play testing and usable screenshots. In actual fact VICE runs on many different operating systems including Unix and emulates the C64DTV, the C128, the VIC20, practically all PET models, the PLUS4 and the CBM-II (aka C610/C510). No wonder it is called the versatile Commodore emulator.So read below and check out the changelog, this is a highly recommended download for all 8-bit gamers! - New SDL based Android port. - New Windows RT port. - New SCPU64 emulator (xscpu64). userport DigiMAX device, DigiBlaster SIDcart add-on). cp-clockf83, tape-sense dongle, (not yet working) dtl basic dongle. - New Inkwell Systems lightpen emulation. - New scroll wheel support for the Micromys mouse emulation. - New "printer/plotter" Commodore 1520 emulation. - New 1540 drive emulation. - New native (koala/doodle) screenshot support. - new godot screenshot support. - Extended the 'RS232 net' support to all platforms that support networking. - RTC offset and RAM contents can now be saved. - Documentation in PDF and TXT format. - New IDE64 v4.2 emulation. - New IDE64 USB server emulation. - New IDE64 DigiMAX short bus device emulation. - New IDE64 ETFE short bus device emulation. - New RGCD cartridge emulation. - New Final Cartridge III+ emulation. - New rrnet mk3 cartridge emulation. - New easy calc result cartridge emulation. - New GMod2 cartridge emulation. - New MMC64, MMCReplay, RetroReplay and IDE64 clockport emulation. - New RRNET clockport device emulation. - New MP3@64 clockport device emulation. paperclip64 dongle, coplin keypad, rushware keypad. joystick adapter, starbyte joystick adapter.